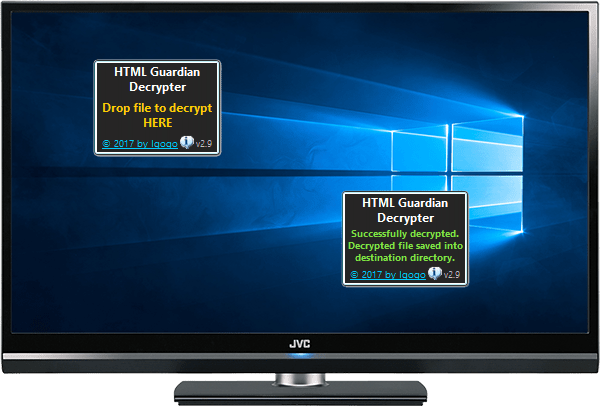 ﻿ Useful tools and utilities Windows 10/8.1/7 Desktop Sidebar Gadgets. All free. If you are a computer geek, you obviously want to know the statistics of using the mouse. 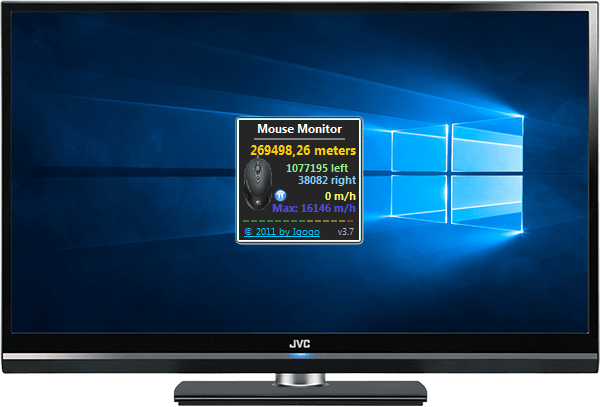 The Mouse Monitor Windows 10 gadget is designed to track the actions of the user's mouse. With this gadget, you can count separately the total number of clicks by the right and left buttons, the distance that your mouse cursor has passed, the current and maximum cursor movement speed. The Keyboard Monitor is gadget for the curious and observant users. 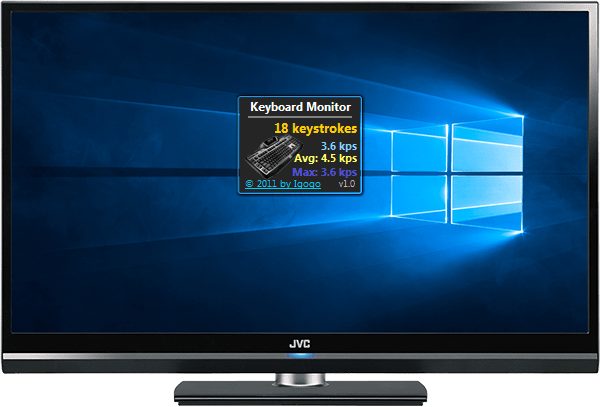 Compatible with the Windows 10 sidebar gadget shows keystroke statistics in real time. Aldo you can see the number of total keystrokes since uptime, along with the current, average and maximum speed, measured in kps (keystrokes per second). One of the problematic moments of modern multi-core processors is their power consumption, to minimize which processors manufacturers use their hardware technologies. As you know, when you use multi-core processors, the operating system rotates the threads between the cores. But such a constant rotation leads to loss of productivity and increased energy consumption. The parking function transfers all active tasks for processing by one core, and the rest transfers to a passive mode (idle mode), but only if one core is able to cope with a given load level. But this mode must be enabled. 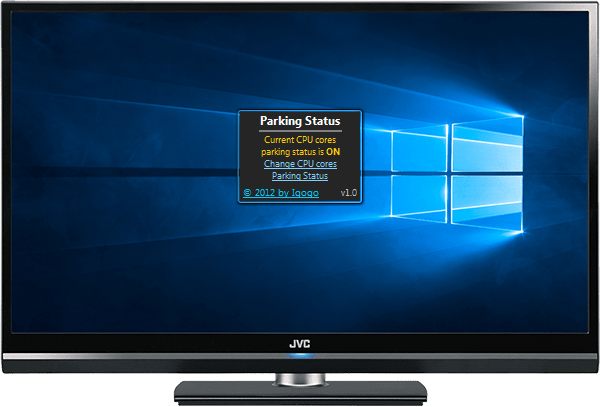 Parking Status Windows 10 gadget\ shows current processor mode and allow user to change it. 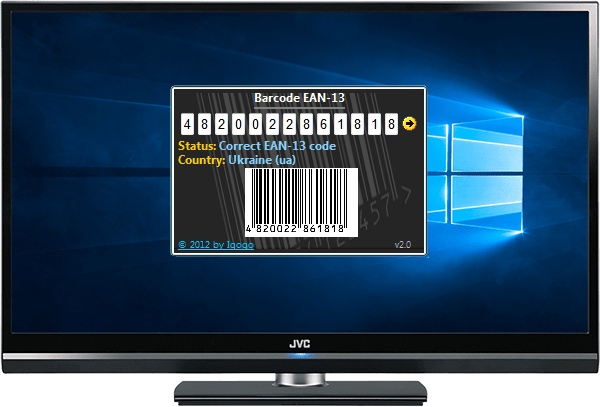 Barcode is a Windows 10 gadget, allow you check and verify various barcode on goods that you bought. With the help of Barcode gadget you will be able to find out the country of the manufacturer of any product by barcode consisting of 13 digits. In the case of a correctly entered 13-digit barcode value, the gadget will automatically calculate the country and display it to you. The calculation of the bar code is performed according to the EAN-13 standard. If you are not indifferent to what is happening on the Earth planet, you must have on your desktop a World Population Monitor gadget. 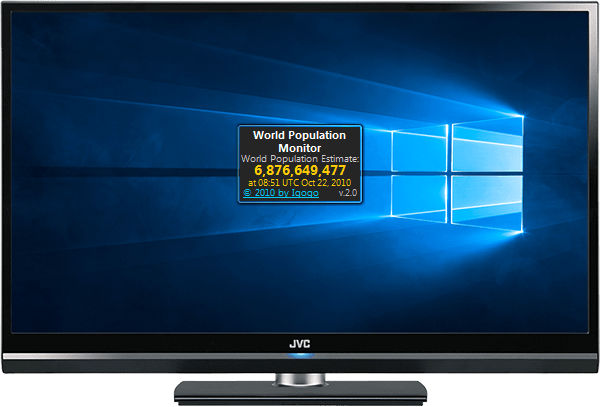 This Windows 10 gadget will help you to receive information about how many people now reside on the Earth planet in real time. BOINC Monitor is a small gadget that displays the BOINC tasks progress right on your desktop. It connect to BOINC client and show you different information. Support network client. You can use up to 8 instances with individual settings for monitor different clients. You are most likely familiar with the fact that the 64-bit sidebar mode of Windows for 64-bit OS is started automatically by default. Because of this, some desktop gadgets can not be run. For switch between the 64-bit and 32-bit versions of the Windows Sidebar you must use registry. It will be complex for any users and may damage your system. 64 to 32 sidebar gadget allows you do it any time without any risks. Try it if you need this. Folding@home is a distributed computing project - users from throughout the world download and run software to band together to make one of the largest supercomputers in the world. F@H Monitor is Windows 10 gadget that will show Folding@home tasks progress.